During its 50 years of history, Actiu has shown that culture, tradition, local manufacturing, sustainability, commitment to the region, design and people are not at odds with innovation, technology, leadership and what is known as the 'millennial phenomenon'. 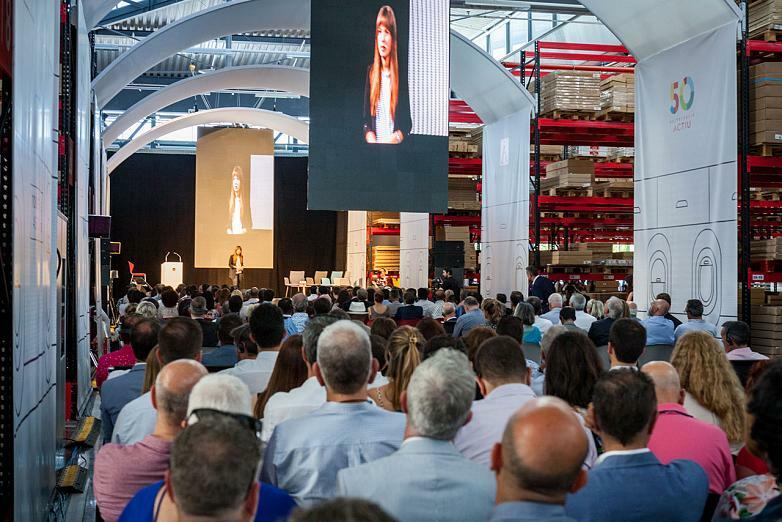 This is a combination which already determines and influences all areas of our life, whether business or personal, as was discussed on the 27th of June at the Actiu Technology Park, during the company's 50th anniversary celebrations event. Alongside the whole Berbegal family, and the three invited speakers, Yaiza Canosa (Founder and CEO of Letsgoi), Angel Bonet (Director of Sales and Marketing at Minsait by Indra) and Monica Moro (General Creative Manager of McCann Spain), the guests were able to enjoy a different experience through a unique and transformative journey. 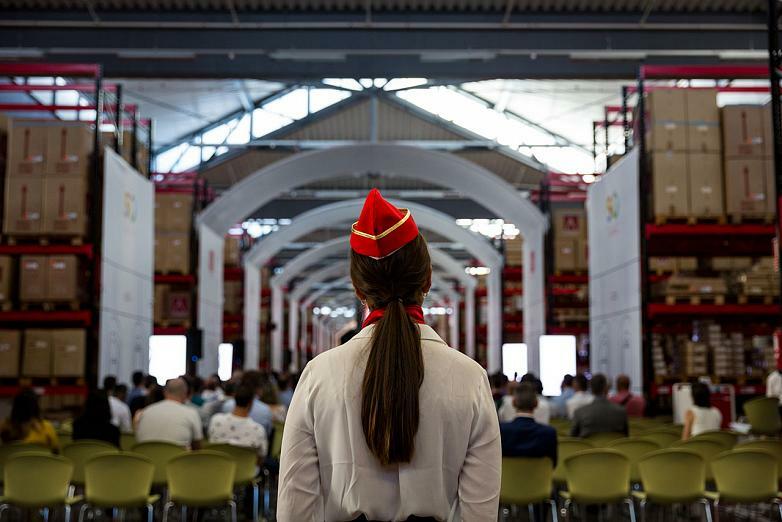 We got comfortable in a big aeroplane inside the Park's warehouses, where the attendees bore witness to the history and values of a "local business with a global vision", with founder Vicent Berbegal and his sons and daughters. Alongside them were the three invited speakers, all specialists in their sectors, entrepreneurs and visionaries of international renown, who reflected on the destiny of an everchanging society. What do millenials want? We are talking about them and you might think that everyone would know about it, but this is not the case. For the Founder and CEO of Letsgoi, Yaiza Canosa, “it is critical that companies understand those who will soon be playing the leading roles”. She is considered one of the most influential young people under the age of 30 in the whole of Spain, according to Forbes magazine. For her it’s clear that what really motivates her generation is something very much beyond the tangible. “What really motivates people is that they want to feel they are part of something bigger, to follow their dreams and make things feel that they are worth it", says the young millennial. Creating culture and telling stories as an alternative to absolute economic pragmatism is a new model associated with the current business world that is looking for a multi-directional relationship, something which Actiu shares with this new generation. “I created Actiu with the aim of achieving improvements in our environment and the people that inhabit it, from a life culture and philosophy that gave rise to all the values that have defined us over the years ,” says Vincent Berbegal. “People, sensibilities, cultures, ideals... all of them are fundamental terms for Actiu”, he adds. In fact, the company takes time to study new work spaces and their influence on workers, both physical and emotional, through Cool Working®. A life and work philosophy that responds to the needs of new workers, for those who, “It is not enough to have a job and surround themselves with the best, but is also critical that the work space be a comfortable place, with a certain values, and a why”, points out Canosa. 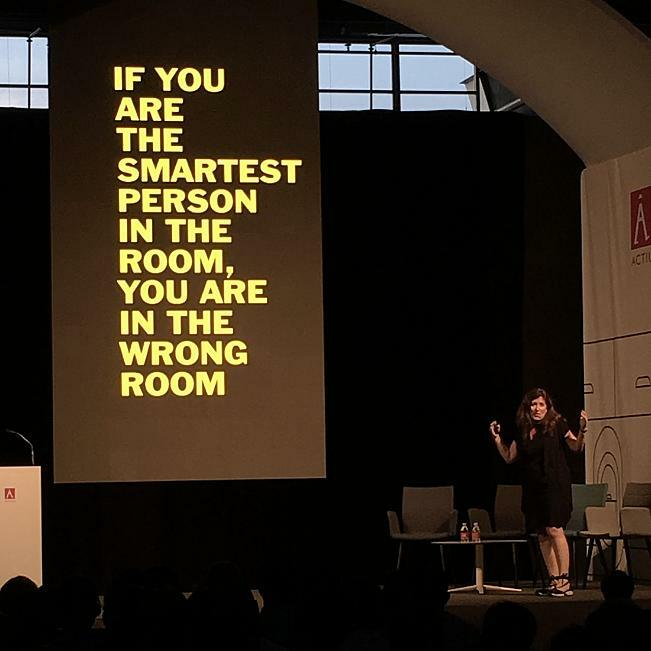 For the Creative Director-General of McCann Spain, Mónica Moro, being relevant is critical. “It's not about saying, but demonstrating, doing things and committing yourself to going from 'story telling' to 'story doing'" said one of the top 100 most creative minds in her country, according to Forbes magazine. For this ideas woman, who considers the value of experience and humanisation to be crucial, space is one of the tools that can change a job, not only by encouraging the growth of good ideas, but also by making people feel more proud of their business, and ultimately to be more happy. “There are certain parallels between advertising creativity and the design of a good working environment,” points out Moro, who stresses the importance of collaborative work in both processes, with the consequent creation of open-plan spaces, where people can meet, express and share ideas, without hierarchies or barriers. According to the Creative Director-General of McCann Spain, “the disappearance of offices makes more human and egalitarian places, in that they value ideas regardless of who they originate from”. A long time ago many companies started to make design an indispensable part of their DNA, through organisation charts, where entrepreneurs, engineers and creative people work hand-in-hand to create solutions that improve the client's life, who is understood as a citizen, human being and person. "There are more and more companies that invert their roles and make their creative people into CEOs or presidents", says Moro, for whom creative profiles are crucial when it comes to translating the language of business and the market, into something that makes sense to the client, and in an original manner. “In the case of Actiu, it's not only what it does, but how it does it –from the Technology Park in Castalla, to its image, people and ambition for the future– they make its story into an example of overcoming obstacles, fulfilling dreams, and inspiring other Spanish businesses”, he adds. Angel Bonet, Director of Sales and Marketing at Minsait by Indra, one of the largest tech companies in the world, spoke about disruptive technologies and their influence on new ways of working in the twenty-first century. With a degree in Business Management and Administration, for him it is essential to be aware of and understand the ability these technologies have for changing the market, most notably 3D printing, artificial intelligence and robotics. Love the client, as the centre of everything. Over and above results, become more human, with the society and people. Value business intelligence, the key to decision-making. Expansion through R&D and constant innovation.